You started the year with new determination, didn’t you? A clear view of how you wanted to change and attack priorities in your life. No more procrastination, time for purpose. Purpose is becoming more of ‘a thing’ for the PR industry and even more so for the business world as a whole. 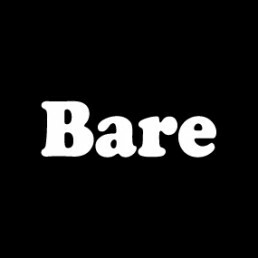 Purpose has always been a big part of Bare PR’s own identity, particularly as we specialise in helping businesses that make a positive contribution to society. But also, because we focus on purposeful results for businesses. Clear KPIs, business led outcomes, difference to revenue and profit. But what is the point of purpose and what does it actually mean for people i.e. your customers? Running or owning your own business comes with responsibility. Your impact on the economy, the environment, supply chains and wider community is real. It’s not good enough to stay silent on the issues that matter in society, it’s certainly unacceptable to simply not care. The PRCA has gone further and said social value is essential. That all organisations must understand the social impact of their business and the actions they are taking. If you don’t take this responsibility; customers will take their business elsewhere. Brands have been quick to jump on these consumer expectations but for many this has led to a full-on fail. It’s one thing to grow your brand from distinct social values, those that run like a thread throughout your business (think Chipotle). It’s another thing to stick them onto your business with ugly black gaffer tap. Newsflash – people can tell the difference. Iceland has been a high-profile example of this and Gillette’s recent advert was met with a fair amount of online ridicule. If it doesn’t ring true it leaves an embarrassing trail of insincerity. And if you launch a big campaign asserting your position on a social issue, it must be planned, executed and followed up properly. To do anything else can be worse and we’ve seen Iceland lose a lot of trust and consumer confidence by not doing this thinking and planning in advance. Doing business for good is not just important for consumers it’s becoming a key concern for employees too. Edelman’s yearly Trust Barometer Report (2019) found that over 76% staff believe their CEO should lead positive change. Including on fair pay, the environment, training and sexual harassment. 71% of staff also think it’s critical that their boss responds to industry issues, political events and employee-driven issues. This has quickly become a deal breaker for new talent looking for their next job and employers need to take note. Investing in purpose is investing in your bottom line. For help developing your employee or wider corporate social responsibility strategy, please get in touch to discuss your needs.